5 Skyscrapers That Will Make Nairobi The Dubai Of Africa. The One Under Construction In Upper Hill Will Be The Tallest In The Continent (Photos) - Ghafla! Their designs not only defy gravity but will also shape Nairobi skyline in the years to come, Kenya’s capital is set to tower over the rest of Africa! UAP Towers in Upper Hill recently overtook Times Towers to be the tallest skyscraper in Nairobi. But the 33-storey building will not hold its record for long. A number of beautifully designed skyscrapers have been proposed or are currently under construction in the capital. 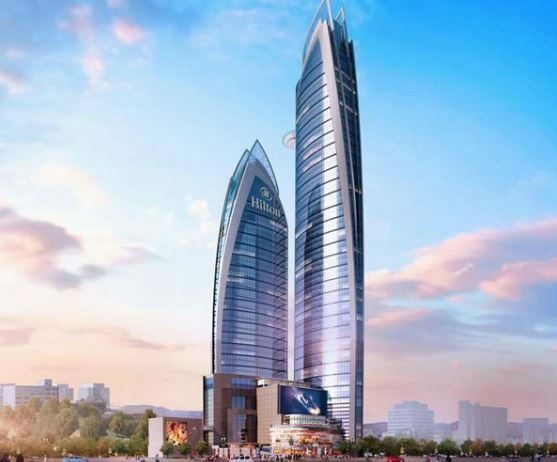 Britam Holdings Ltd is building a unique skyscraper in Upper Hill. The 32-storey skyscraper will be complete by mid-2016. The skyscraper has already muscled itself up in the sky to become one of the most visible structures towering Upper Hill area. Excavation for Africa’s tallest skyscraper started in November 2015 in Upper Hill. Hass Tower will overtake South Africa’s 50-storey Carlton Centre in Johannesburg to be Africa’s tallest building. 70-storey Hass Tower/Pinnacle Tower will stand at 300m (980ft), 77m higher than Carlton Centre’s 223m (732ft). The project also encompasses a second tower which will be 45-storey. The project designed jointly by Archgroup and Meinhardt Group, will consist of a 45 storied luxury hotel tower, a 70 storied office tower, class A retail space, a helipad and a parking. Architects must have had rough time designing this tower. Once completed, 34-storey Prism Towers will stand 133m in Third Ngong Avenue. The building which is currently under construction will house world class amenities that includes; jogging track around the building, swimming pool and gym etc. 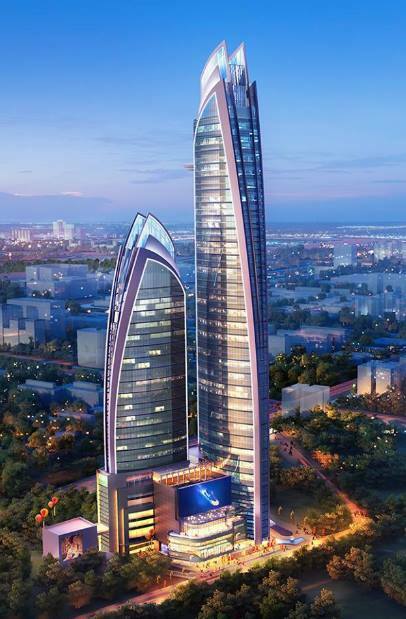 The unique design of Prism Towers makes it an architectural masterpiece that will forever shape Nairobi skyline. The new NSSF-owned skyscraper will briefly be the tallest building in Kenya once complete sometimes this year. The construction of 39-storey Hazina Trade Centre stalled for a while over a court dispute between NSSF and Nakumatt. Hazina Trade Centre is located just behind Nakumatt Lifestyle in the CBD. It will be tallest building in Kenya, and the region for a while before Hass Towers takes the crown. The Central Bank of Kenya (CBK) Pension Scheme has laid groundwork for the construction of a 27-storey building next to the offices of the President, Deputy President and the Police headquarters. The Kes 2.4 billion building will mainly house government offices even though there will also be space for private sector tenants.